I love learning and trying new things. If I only had 50 or 60 hours per day, I’d be all set. 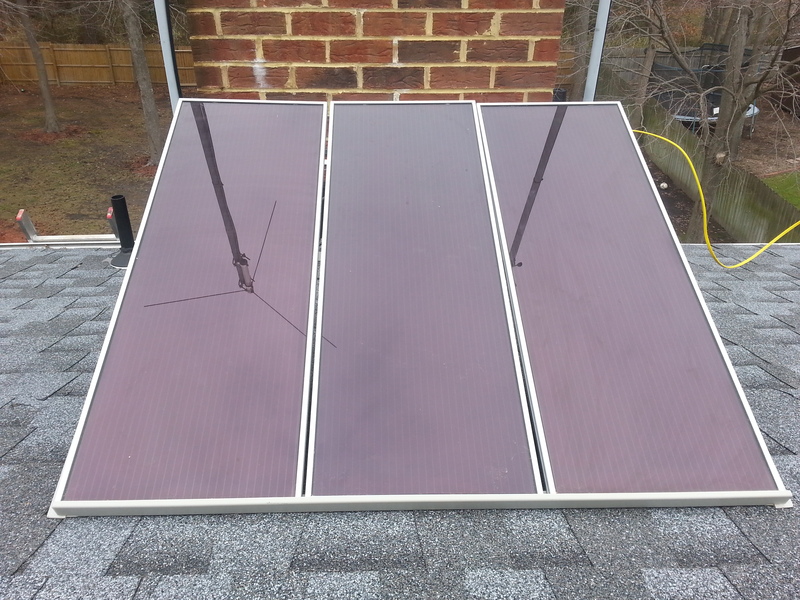 Today’s experiment was the installation of some solar panels on the roof. The trick was to place them where they’d get enough direct sunlight to be effective while placing them where they wouldn’t be any more apparent than necessary. Alas, I did not do the actual installation. At my age a fall from the roof would be a bit more than inconvenient, so my son did the heavy lifting with my daughter wanting desperately to challenge him for the lead role. It wasn’t the actual work mind you – just the appeal of being allowed to get up on the roof. They got everything in place, although I’m not sure the connections are adequate (that was my doing – not them) – we’ll need a sunny day when I’m home to determine if it works. My intent is to see if I can operate my ham radio station off the solar cells together with rechargeable gel cells. Receiving is low current, while transmitting is much higher. However, the cycle is far more receiving than transmitting. Some people want to see fossil fuel and nuclear replaced by renewable sources. I think the idea of running whole cities from renewable sources is too large a jump. If everyone ran a few minor things off alternative sources, we’d learn how the pieces fit together. We don’t get as many opportunities for individual experimentation as we did in the days of Edison, Bell and Marconi, but this is a great opportunity to experiment. Progress is one brick at a time. This entry was posted in Communications, Culture, Education, Energy, Family, Future, People, Philosophy, Politics, Science, Technology and tagged renewable energy, solar. Bookmark the permalink.